(KZN.RU, May 7). The match between the football clubs “Rubin” and “Ufa” ended with a score of 0:0. The meeting was held at the stadium “Kazan Arena” and became a test one in the preparation of the city for the World Cup-2018. 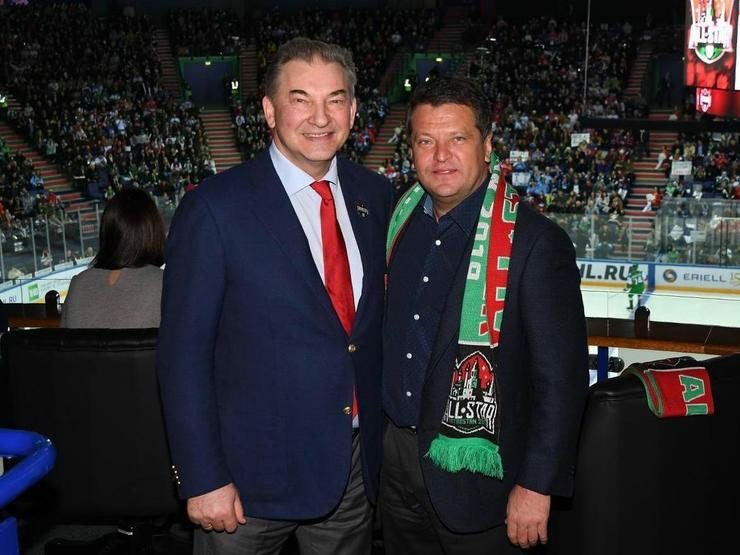 Rustam Minnikhanov, the President of the RT, Mintimer Shaimiev, the State Councilor of the RT, Ilsur Metshin, the Mayor of Kazan, and others attended the game. This match was a landmark one for the FC “Rubin”. The game with the “Ufa” became the last home match of the club this season. In addition, the team solemnly said goodbye to the forward Gekdeniz Karadeniz, who has played 300 matches in its composition since 2008. Before the start, children of the football player went to the central circle, and the youngest of them, Toprak, made the first symbolic serve. Players of the “Rubin” came to the greeting wearing specially prepared T-shirts with quotes from a colleague. The T-shirt with the number 61 was raised under the arches of the “Kazan Arena”. In addition, it was announced that the forward was awarded the Order of Merit for the RT. The game began with a minute of silence in memory of those killed in the Great Patriotic War. “The match, as expected, turned out to be uncompromising and exciting”, reports the press service of the Kazan team. “Rubin” has created more dangerous moments, but both teams didn’t score at the end”. The match also became a test one in preparation for the FIFA World Cup-2018. During the game, the operation of the stadium and the city services were checked, including restrictions of the traffic on the territory of the “last mile”.